Police are appealing for witnesses after an officer was seriously hurt when he intervened to stop a violent incident in Crawley town centre this morning. 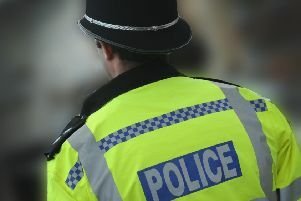 Two police officers in a police car were driving along Peglar Way, Crawley, when they saw two men apparently fighting in the rear car park of The George Hotel at 1.30am (Saturday, April 7), a police spokesman said. They intervened and one of the officers, a local uniform Sergeant, sustained a serious knee injury, the spokesman said. A 16-year-old boy from Croydon was arrested on suspicion of assault with intent to resist arrest, possession of a large hunting knife, possession of cannabis, and attempted robbery, and is currently in custody for interview and further enquiries, the spokesman confirmed. The other person involved, a 45-year-old Crawley man, was not injured or arrested and is being treated as a witness, police said. Detective Sergeant Kirstie Neal said: “We are urgently appealing for any witnesses to this incident, and are particularly interested in speaking to four men who were seen walking past at the time.